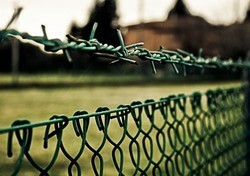 We hold the expertise in manufacturing and exporting PVC Coated Barbed Wire at a large scale. As its name shows, these are designed with fine cutting edge and mostly popular for its high tensile strength. These are simple to use and acquires less space to store. It is highly portable and widely used for fencing. This PVC Coated Barbed Wire is extensively used to build security fencing for livestock, private area and industrial areas. Our company has achieved widespread recognition in offering PVC Fence to the clients. 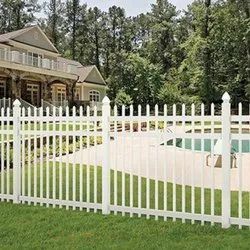 PVC Fence is designed by experts and professionals of the industry with complete dedication and devotion towards their respective work. Offered range is extremely robust in nature and is finely finished and coated for maximum efficiency. This product is available in different sizes and specifications as per the requirements of respected customers. Offered range is manufactured and tested in house by socialist mould makers and exceedingly qualified and professional ensuring highest quality standards in sync with the quality standards. Looking for PVC Coated Barbed Wire ?